Join us as we honor the life, the genius, and the work of Ornette Coleman, who passed away Thursday, June 11th at the age of 85 in Manhattan. Born on March 9th 1930 in Fort Worth, Texas, Coleman would become an important voice and major innovator in the avant-garde jazz movement, with a career that spanned over 55 years. 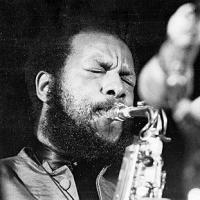 It is with a heavy heart that we announce the Ornette Coleman Memorial Broadcast. The Broadcast will be continuous from Thursday, June 11th until Wednesday, June 17th at 9:30 AM. All regular programming will be preempted during this time. Coleman shaped the future of jazz. He questioned preconceived notions of what jazz was and what it could be. It is important not only to recognize Coleman for his music, but to acknowledge the abstract and theoretical of the philosopher and avant-gardist that was Ornette Coleman. He is a beacon of light in history symbolizing pure originality. The musicians and composers of jazz who have left the greatest mark are those who fit into the Ornette Coleman mold; these are the artists who were not concerned so much with the mastery of craft as with the opening of artistic doors. Coleman had been pursuing the untouched horizons in music ever since the beginning of his career. Emerging from the Texas blues tradition (all of his music has the gutbucket wail of the blues in there somewhere), Coleman took Los Angeles and then New York City by storm with his visionary quartet in the late 1950's. His revolutionary concept placed melody, not harmony, at the center of improvisation. Coleman played music that left set chord changes behind: improvising harmony in real time, paving the way for free jazz innovators of the next few decades. He called his system of approaching music "harmolodics," a compound of harmony, motion, and melody. Coleman continued to work with the musicians from his original piano-less quartet (Charlie Haden on the bass, Don Cherry on trumpet, and either Ed Blackwell or Billy Higgins on the drums) through the early sixties, and then moved to a trio (David Izenzon, bass, and Charles Moffett, drums) that began to explore the rhythmic dimension with greater improvisational freedom. The seventies and eighties brought new sounds with Coleman's explorations of electric instrumentation and amplification, as well as compositions for orchestra. Coleman won a Pulitzer Prize for his 2007 record Sound Grammar. Ornette Coleman, the pioneering alto saxophonist and composer, will forever be remembered and the waves he made will never cease to ripple. Join as we celebrate innovation, relentless individualism, and commitment to artistic freedom. Tune in to WKCR's Ornette Coleman Memorial Broadcast as we remember, commemorate, and honor this giant of Jazz.